Peace. Beauty. Ocean front living with the flavor of New Orleans. That’s what you get at Casa NOLA. Pura Vida meets Laissez les bons temps rouler! 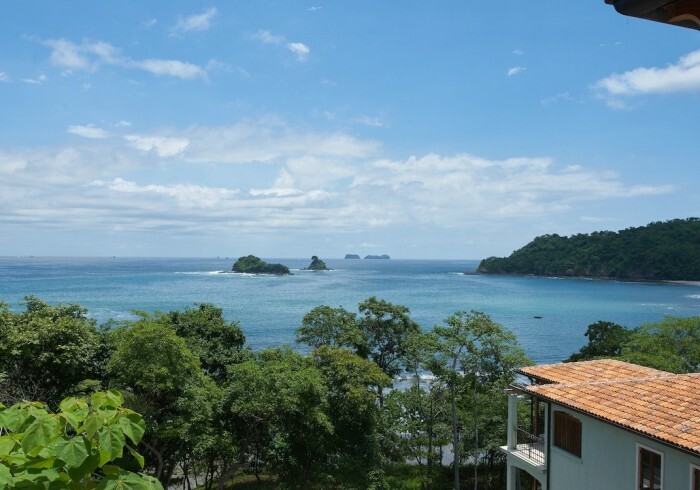 This elegant home away from home in beautiful Las Catalinas delivers all the comforts of family living amidst the breathtaking backdrop of, Costa Rica. Spectacular ocean views, easy access to the beach beach club. A 3 bedroom, 4 ½ bath oasis with stunning views from both levels of the home. It comfortably sleeps six. The master bedroom has a king size bed with a spacious bathroom and shower that opens up to a private terrace; the guest bedroom features a queen bed along with a terrace that overlooks the ocean, and the third bedroom has twin beds that easily convert to a king. It also has a private entrance. Casa NOLA has a spacious kitchen and den that opens to outside – bringing the spectacular sights, sounds and smells of this gorgeous tropical escape to you. Plus, there’s a private splash pool right outside the den for sunbathing and lounging. You’ll never want to leave the swing on the covered patio. It’s the best place to lay down, take a sip and watch the sunset. The home delivers all the comforts of beachside living with the sweet essence of one of America’s favorite cities, New Orleans - original art, photos, even cookbooks & cocktail books from the Crescent City. You also get all the amenities you need: House Mom Service (upon request), Concierge Service, Beach Club access plus, all the conveniences you expect—Wifi, a Blue Ray DVD player, Bluetooth devices, hair dryers, children’s books & games, adult books & game, even a Pack ‘n Play!